Sept. 9, 2008 -- Bill Fisher of Paragould and Don Harmon of Jonesboro have been selected as the Business Executives of the Year by the Arkansas State University College of Business Alumni Chapter (CoBAC). The two will be honored at the CoBAC Annual Alumni Breakfast 2008 to coincide with ASU’s Homecoming, Saturday, Sept. 20. ASU head football coach Steve Roberts is the keynote speaker. In addition to alumni, the breakfast is also open to the public and begins at 9 a.m. in the Holiday Inn Holidome. Reservations are required by contacting Chris Collins at ccollins@astate.edu or 870-972-3985. Tickets are $15 for the breakfast and can be purchased at the door. Fisher, the chief executive officer of Paragould Light, Water and Cable, supports Arkansas State through his service to the College of Business Advisory Council. He is a 1958 graduate of the University of Arkansas with a bachelor of science in business administration and a 1978 graduate of Stanford University’s executive program in Stanford’s Graduate School of Business. In 1979, Fisher earned a degree from Rutgers University’s Stonier Graduate School of Banking. His professional career includes leadership positions in a variety of industries, beginning in 1958 as a self-employed real estate and insurance agent. From 1960-98, his career positions included manager of a soybean and grain corporation, assistant administrator and office manager of a hospital, manager of an insurance agency, a bank executive vice president, president and CEO of three banks, president and CEO of a national florist service, president and chief operating officer of a life insurance company -- all in the state of Arkansas. In January 2002, he was named general manager and CEO of Paragould Light, Water, and Cable. Fisher is also chairman of the North Central Association Commission on Accreditation and School Improvement, the Arkansas State University College of Business Executive Advisory Council, and the Arkansas Methodist Medical Center Foundation. He has served as Chairman of the Arkansas Workforce Investment Board, Arkansas Community Foundation, Arkansas State Council on Economic Education, Arkansas Methodist Medical Center, Arkansas Board of Education, and the Arkansas Board of Vocational Education. Fisher and his wife Ann have two grown children. He attends the First Presbyterian Church in Paragould, where he serves as an elder. Harmon is the CEO of the Home Décor Holding Company and credits his success to his education at Arkansas State. After moving a number of times, due to his father’s service in the Navy, Harmon attended and graduated from Batesville High School in 1969. He became the first person in his immediate family to graduate from college when he received his bachelor of science degree in business from ASU in 1974. While in college, Harmon began his career with Rankin’s Furniture and spent 14 years in the retail side of the home furnishing industry. He joined Jimco Lamp Company as a salesman and was named national sales manager of the home furnishings and hospitality divisions in 1988. He continued his advancement by being named to the Jimco management team in 1989 as vice president. He became president of Jimco/J.Hunt and Company in 1995 and was named CEO in 1998. In 2005, Harmon joined the board of directors of the Home Décor Holding Company which is comprised of three divisions: Jimco/J. Hunt and Company, in Bono, Ark. ; the Stylecraft Home Collection, in Southaven, Miss. ; and the Patton Picture Company in Mechanicsburg, Pa. In 2006, he became president of the holding company and, later that year, CEO. Home Décor Holding Company has over 500 employees and 750,000 square feet of warehouse space in the United States and 47 Chinese employees in the offices and showrooms in Dongguan City, China. They design, source, manufacture and distribute Home Décor products to most of the channels of distribution in the U.S. as well as to Canada, Europe, Asia, and South America. 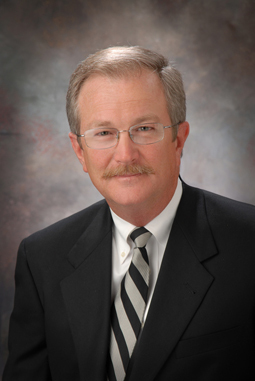 Harmon has been a member of the Jonesboro Jaycees, serving as president in 1985. 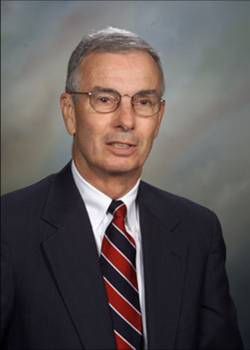 He also served as president of the Downtown Merchant’s Association in 1981 and 1982, and was a charter member of the Jonesboro University Rotary Club. He was named Rotarian of the Year in 1987, as well as a Paul Harris Fellow. Harmon and his wife, Cherri, have one daughter, Lindsay Burnett, a 2005 ASU graduate, and a son-in-law, Jesse Burnett.